Why the health care compromise will be hammered out quickly. WASHINGTON -- Reaching agreement on a health care bill is harder in theory than it will be in practice. Between now and the day the measure goes to President Obama's desk, there will be many crisis points, much posturing and dire warnings of impending failure. There are real differences between the bills passed by the House and the Senate. The last few votes are always the most difficult to get. But more than negotiators can afford to acknowledge openly, there is broad agreement on the kinds of concessions the Senate can make to the House and still preserve the 60 votes needed for passage. Indeed, some of those concessions will be eagerly sought by progressive Democratic Senators. Over the last week, I've been talking with key figures in the House, Senate and White House, and the outlines of a deal are becoming reasonably clear. The public option is, alas, dead. But the idea of setting up a national insurance exchange -- alongside state exchanges -- where the uninsured can purchase coverage is very much alive. The House is demanding this as the price for giving up on the public plan, and a national exchange would provide for much more consumer-friendly regulation of health insurance policies. Almost everyone in both houses wants to find ways of making insurance more affordable. Steps in this direction would include more generous subsidies for the purchase of insurance than those in the Senate bill, and expanding on its Medicaid provisions. The bill's overall price tag will grow from the Senate's $871 billion over a decade, probably to somewhere in the range of $930 billion to $950 billion. The tax on so-called "Cadillac" insurance plans, opposed by both organized labor and the insurance industry, is likely to be scaled back but not eliminated. Currently, the Senate bill includes a 40 percent excise tax on group health insurance plans worth $23,000 for families and $8,500 for individuals. Many opponents would settle for raising that ceiling to $28,000 for families, with a comparable rise for individuals. That would reduce the number of policyholders covered by the levy. But because of fierce resistance to the tax from a large group of House Democrats, this could prove to be one of the most vexing issues in the negotiations. In the meantime, negotiators are looking to extend to all states a version of the special deal that saved Sen. Ben Nelson's home state of Nebraska from the bill's increased Medicaid costs. Nelson himself is pushing for this change, which would cost in the range of $25 billion to $30 billion over 10 years. One solution: somewhat more modest across-the-board Medicaid relief to all states. This negotiation will be unusual because almost everything the House and Senate agree to will be subject to the consent, or at least acquiescence, of Nelson and Joe Lieberman, the last two senators to commit to vote for the bill last month. 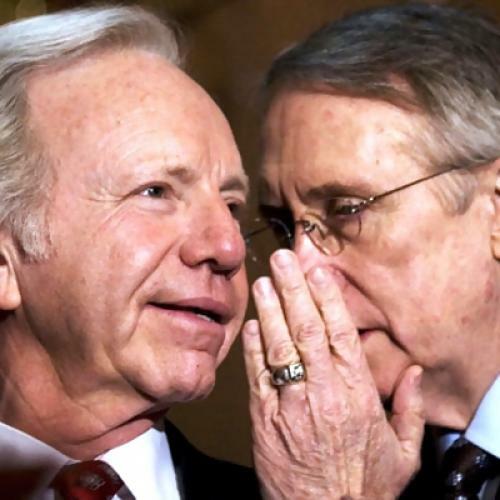 On the other hand, the death of the public option, insisted upon by Lieberman, is likely to strengthen the House's bargaining position on other issues. The House, for example, is seeking to take away the health insurance industry's exemption from antitrust laws, and wants stronger requirements that insurance companies spend most of the premiums they take in on the actual delivery of health services. The bargaining could open the way for unusual coalitions. For example, both the insurance companies and many progressive groups want to hold providers to the public promises they made at the White House last year to cut the increase in annual health care costs by 1.5 percent a year over the next decade. This would amount to $2 trillion in savings. One compromise might involve the insurance companies agreeing to a national insurance exchange and, possibly, antitrust changes if the final bill also included a legal requirement that the providers live up to their cost-containment promises. Compromise happens when negotiators are desperate for an agreement, and what's not in doubt is that Democrats in both houses want to pass a bill by early next month. They know that the sooner a contorted and seemingly endless legislative process comes to a close, the quicker they will be able to sell the contents of their reform to a skeptical public and move to the economic issues that will dominate this election year. They'll succeed because the only alternative is catastrophe.